Increasing warehouse order picking productivity takes time, determination and strategic planning. Warehouse management can be challenging, but efficiencies can be created with unique components based on your needs. Picking requires substantial attention to detail, dexterity and organization to move pickers through the warehouse efficiently to fill the maximum amount of orders in the least amount of time. 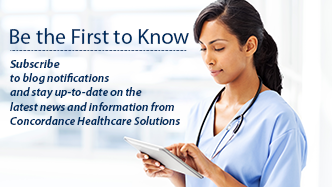 When healthcare providers care for patients, it’s important for products and supplies to be readily available. Therefore, inventory management is a critical component in healthcare distribution. Having accurate inventory and making sure items are stocked at the desired locations, both for picking and for shipping, simplifies the overall process. The end goal, for any warehouse is to get products and supplies to the end customers quickly and efficiently, supporting a functional end-to-end supply chain. Sophisticated distribution practices and technologies can improve productivity and help maintain the accuracy necessary when providing healthcare products and medical supplies. Increase and improve picking productivity by employing a batch picking approach. Groups of orders are aggregated together to be picked simultaneously to diminish repeat trips to the same bin. Batch picking allows multiple orders to be picked at one time, effectively cutting down on travel time. Less batches equals less time required to pick orders which can increase productivity while reducing costs. Ideally, batch picking works best for small to medium operations. Place frequently picked items in flow racks to create a “hot” zone, allowing pickers to pick multiple fast moving items from a single condensed area. Flow racks help decrease the distance a picker must travel in order to fulfill an order. Voice directed picking can provide many efficiencies such as adopting a slotting system optimizing slots per shelf, giving each item a unique location not shared with other items. This can provide increased accuracy, dollar efficiencies and productivity. "Recently, as we've added some our new locations in Idaho, California and Texas, we're able to bring 10-20 pickers on voice in a very short period of time. We can get a new facility up, running and productive in weeks instead of what would have been months before voice" Keith Price, Chief Information Officer. Continuously educating warehouse employees is essential. From new items coming in to unit of measure changes, additional training provides added clarity, understanding and helps streamline efficiencies. Run multiple reports looking at the most frequently picked items and move those to optimal picking locations to reduce travel time and create a better work flow. Increased reporting allows you to benchmark current performance and plan for better performance by showing you exactly where improvements and adjustments can be made. Employing some of the tactics listed above can help meet, or even exceed, customer expectations. Don’t know where to start? Start with best practices. What has worked or is working in the warehouse? What works best for your customers? Bring more of those best practices to streamline productivity. 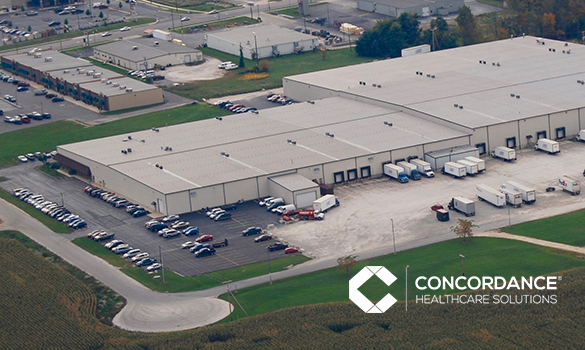 At Concordance Healthcare Solutions, we work hard in the warehouse and in every department to provide the processes and technology that fit our customer's individual needs and help them deliver the highest quality of care. Contact us to learn more about how we can support your supply chain needs.